Technology has taken firm hold of the modern world, leading mankind to a whole new reality, creating unforeseen implications that will change radically the face of the Earth. Where are the limits of human arrogance in the quest for power? Have we misplaced our faith in science? In a post-apocalyptic future, will our faith in technology be our savior, or will our arrogance be our downfall? Take a Look into one possible, Not-too-distant, Painful Future In This Gripping Fiction Novel! The colorful language and the vivid descriptions make this thought-provoking fiction book by acclaimed author and comic creator Mike Gagnon a powerful, involving literary work that will keep you on the edge of your seat! Wake up in an ominous future surrounded by bloodthirsty zombies, cruel creatures waiting to take a toll on the scientific geniuses who have used modern cybernetics to turn the undead into a race of slaves! 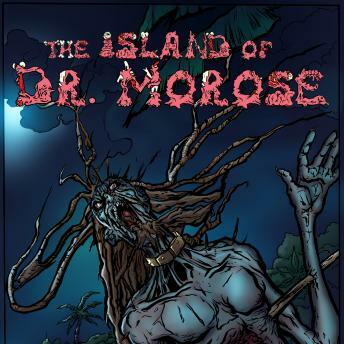 The Island Of Dr. Morose: Plunge Into A Genuine Fiction Read, A Thrilling Look Into Our High-Tech Future! The World of Zombies Will Never Look the Same! While the world was recovering and rebuilding from the zombie apocalypse, one eccentric genius, Dr. Dieter Schmidt, was turning a Haitian island into a paradise for the wealthy and affluent. Word eventually spread out to the civilized world that Schmidt had mastered the technology of cybernetic control of the undead, turning them into the servants and laborers that keep his island paradise running.